Enjoy an evening of holiday cheer at the 2017 Downtown Wine and Wassail Walk on Friday, December 15, from 5:30 to 8:30 p.m., in historic Downtown San Marcos. The event, hosted by the San Marcos Main Street Program, will feature a progressive tour of retail businesses serving a variety of wines, homemade wassail and paired hors d’oeuvres. 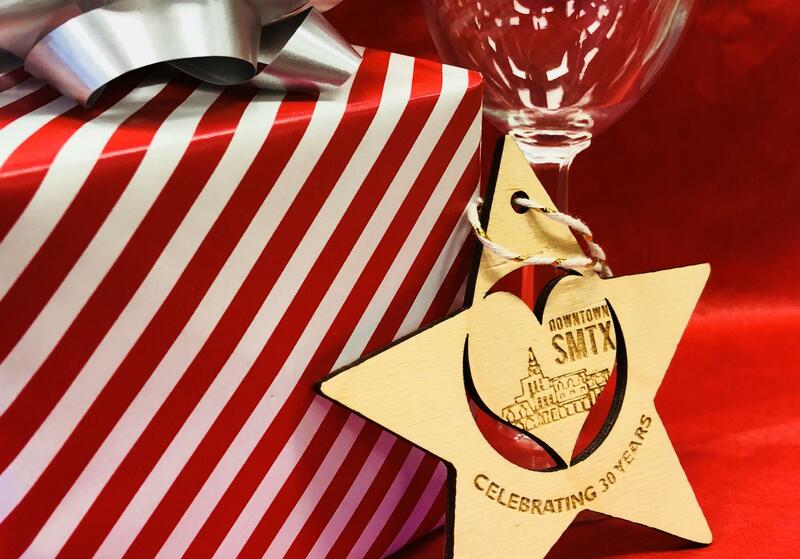 Participants will receive a commemorative wine glass and enjoy live entertainment while strolling the downtown streets. 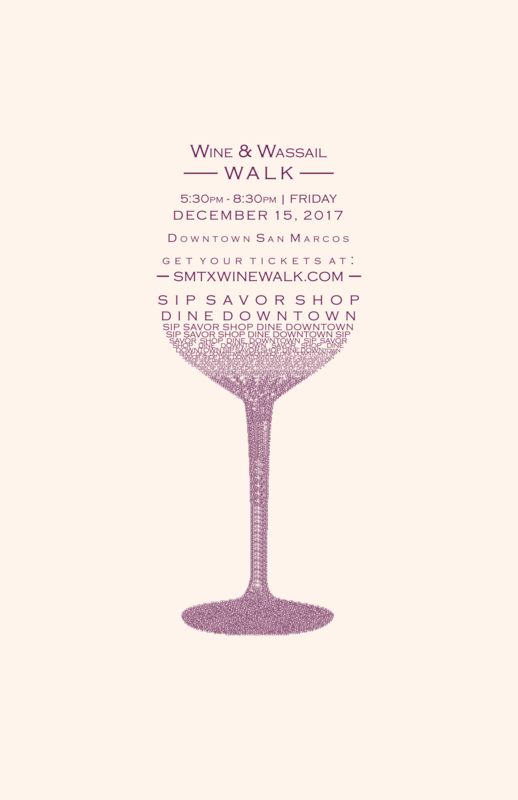 For the first time ever we will have Downtown Dining Stops at the Wine & Wassail Walk! See below for the list of participating stops. The Wine and Wassail Walk is just one event during the Heart of the Holidays in Downtown San Marcos. Join us for a season full of cheer! Interested in getting involved? Volunteer for the 2017 Wine & Wassail Walk!